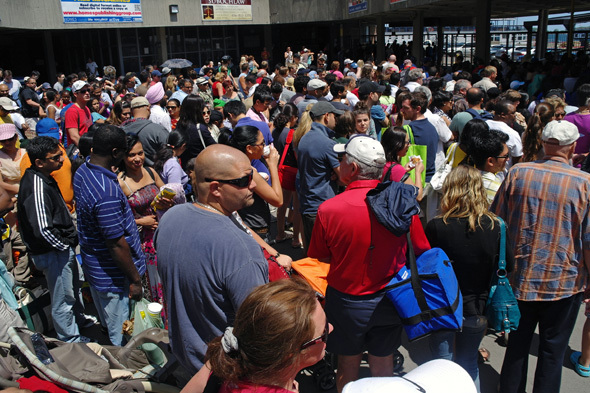 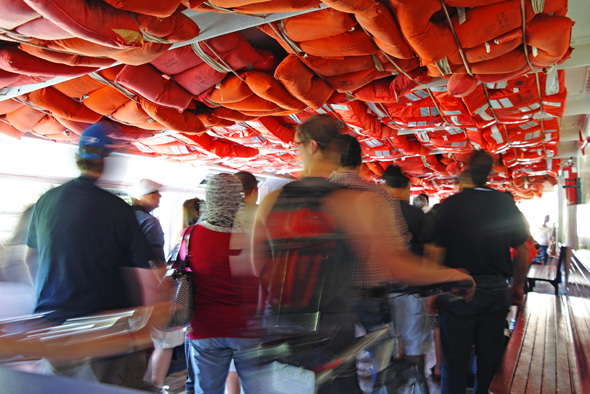 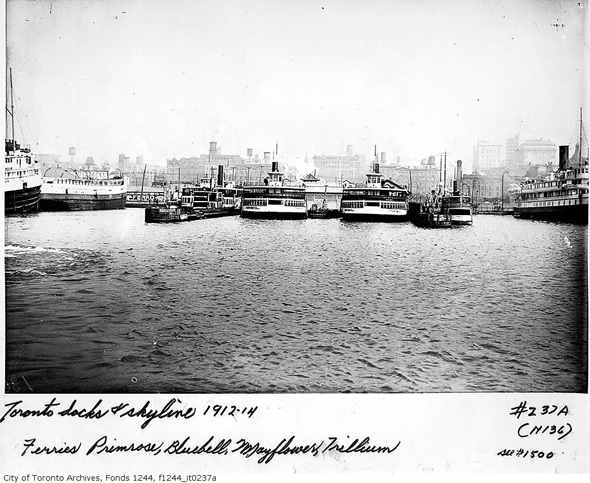 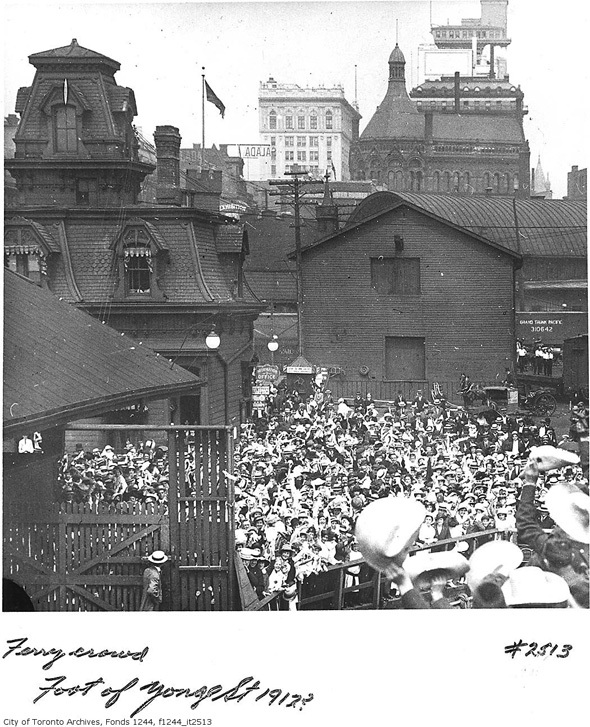 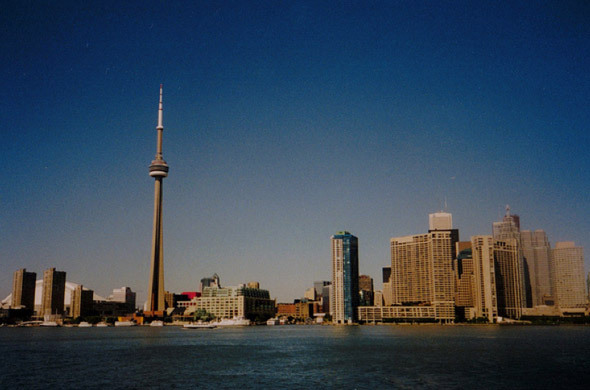 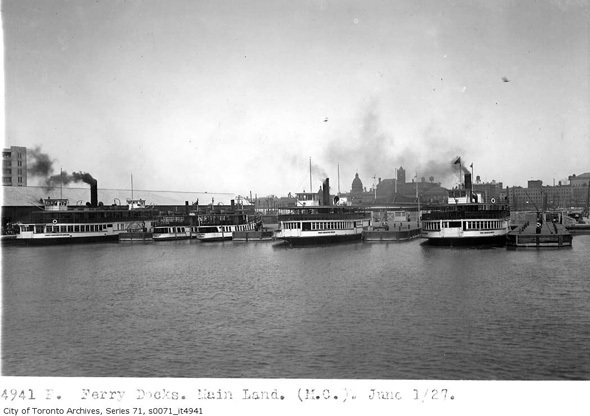 Flocks of Torontonians have been making the ferry trip across the inner harbour to the Island for almost 200 years. 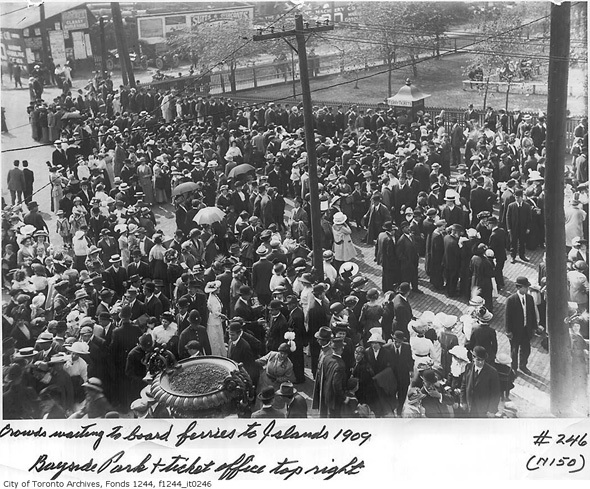 To some degree, the tradition hasn't changed a whole lot over this period. 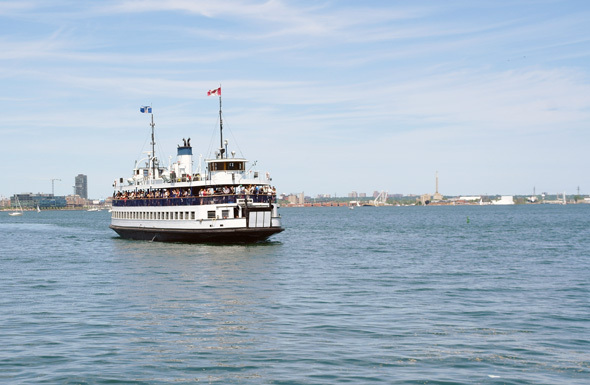 City dwellers still jam together at the Bay Street dock on summer weekends in search of the Island's (mostly) bucolic surroundings. 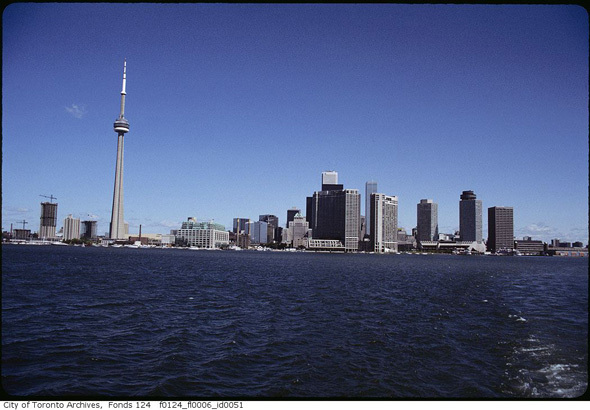 What has changed, on the other hand, is the city from which these trips originate — and, perhaps to a lesser extent, the Island itself. 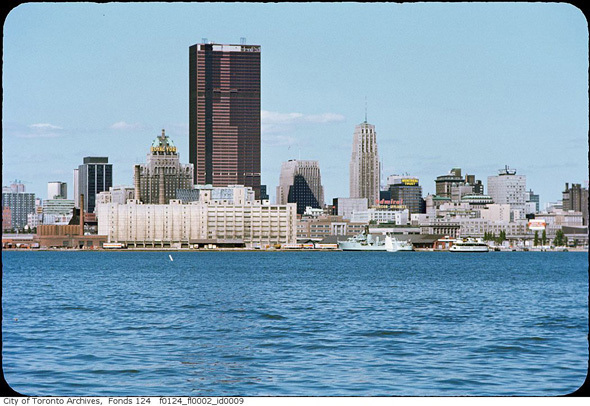 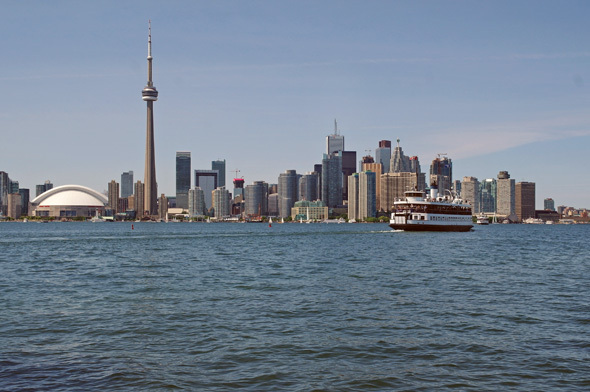 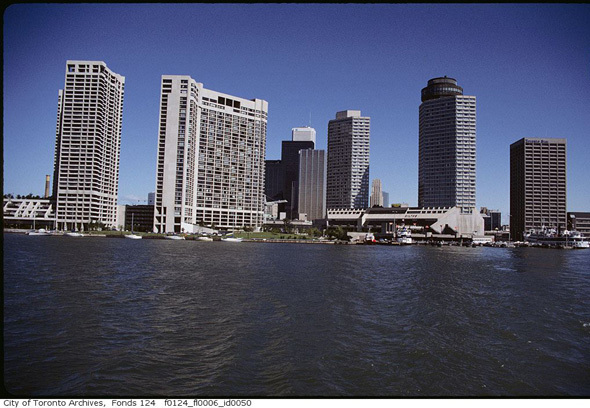 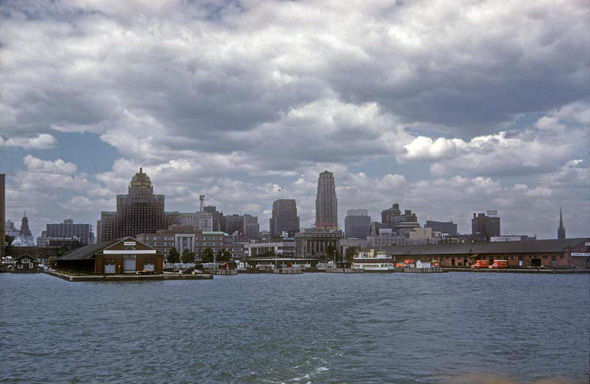 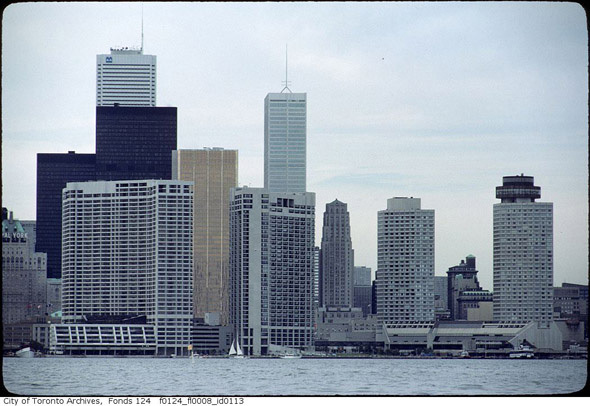 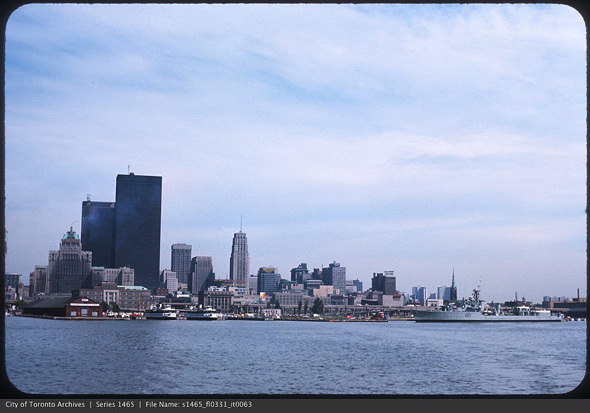 I've already charted the transformation of Toronto's skyline over its history, but there's something particularly intriguing about looking back at the various views of the city afforded by a ferry ride. 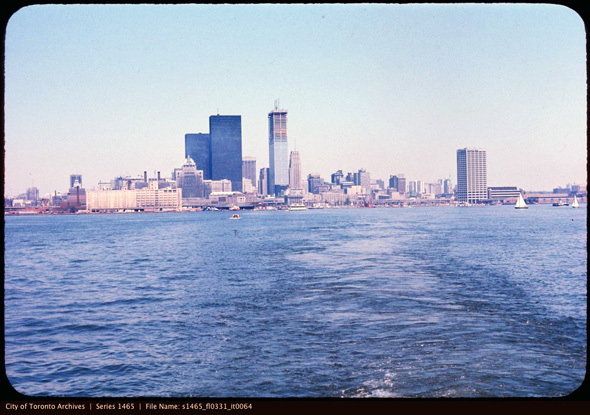 Whenever I make the trip to the Island now — which isn't as often as I'd like — I spend the entire trip over and back imagining what the city must have looked like in previous decades. 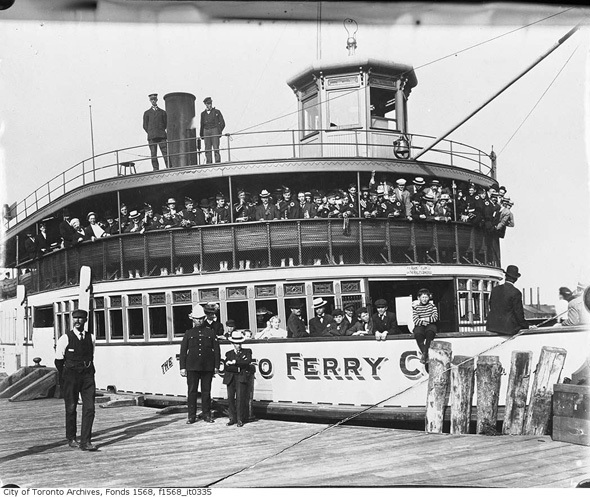 The ferries and their operators have also changed, of course. 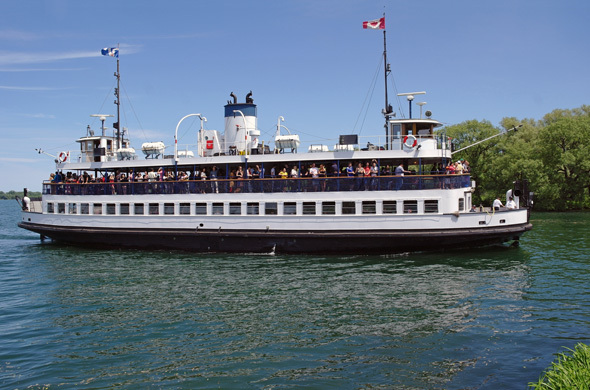 Originally serviced by a variety of paddle steamers, trips to the Island are now made via diesel boats that were built between 1935 and 1960 (one of the reasons why they appear to have changed so little in the later photos). 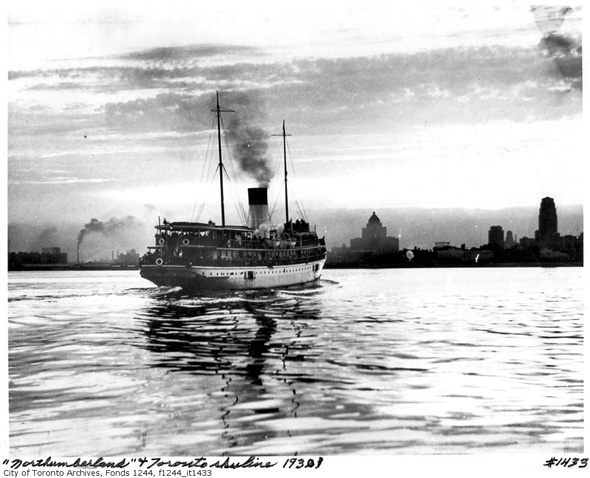 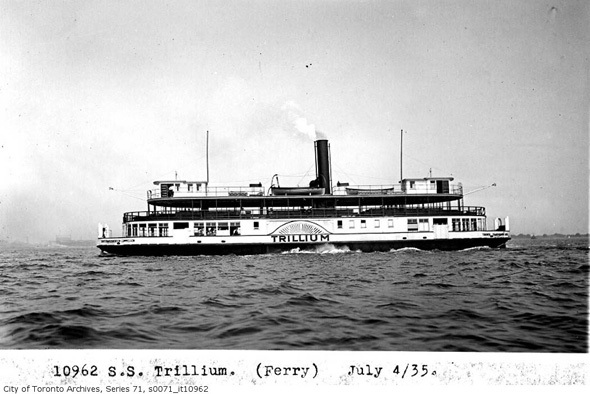 In fact, one of the early ferries, the 100-year old Trillium, still does the run across the harbour to this day. 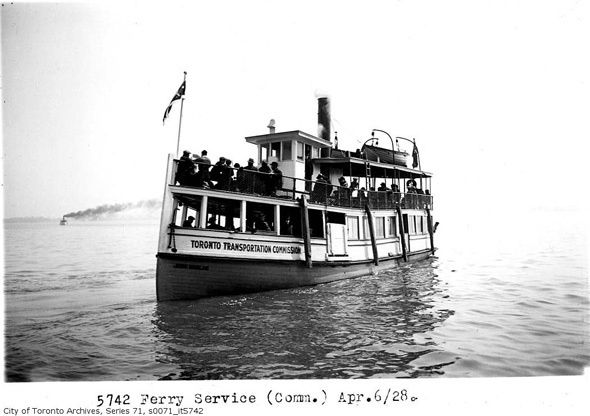 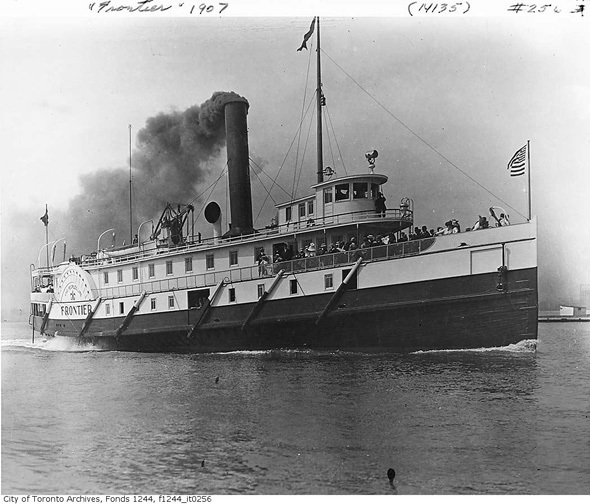 Between 1926 and 1961, the TTC was responsible for ferry service, the period in which the current fleet (with the exception of the Trillium) was built. 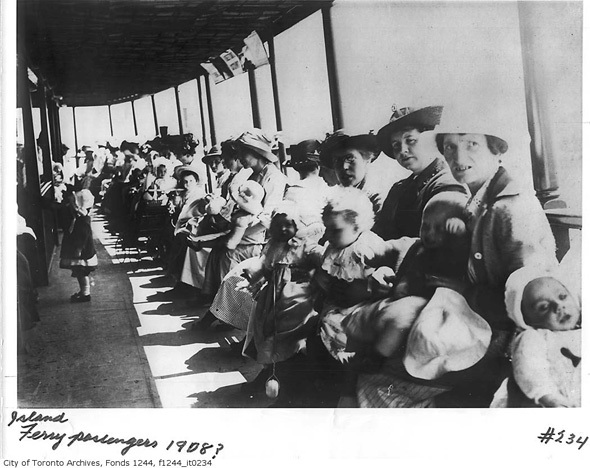 Post-1961 the Parks Department took over the operation, in whose hands it remains. 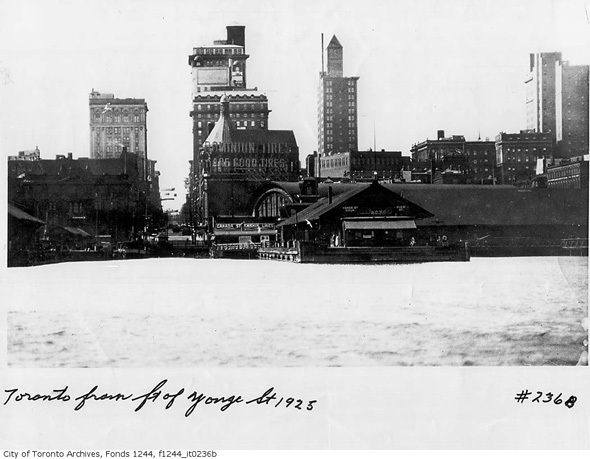 Although I've included a few photographs of the Yonge Street dock below, the main departure point from the city to the Island has been at the foot of Bay for over a 100 years. 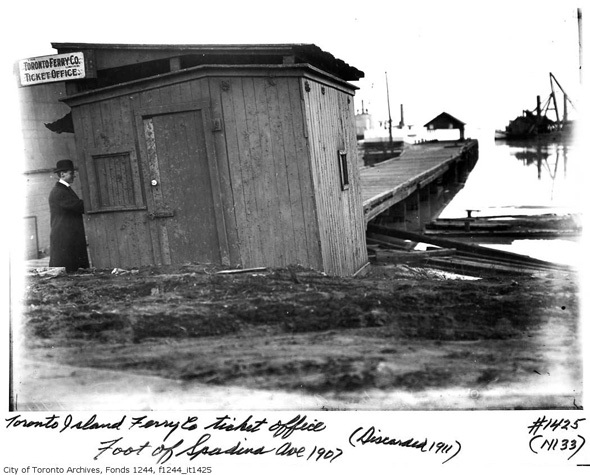 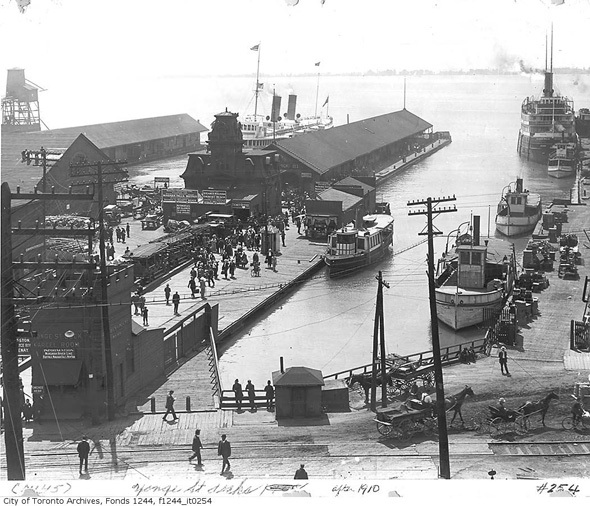 The Yonge Street dock housed ferries and passenger steamships making longer trips on Lake Ontario and the St. Lawrence River. 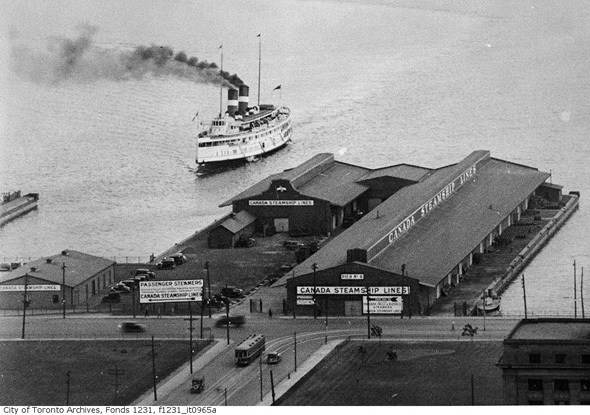 Historical photos from the Toronto Archives / Contemporary photos by the author.